On your mark. Get set. Swim? 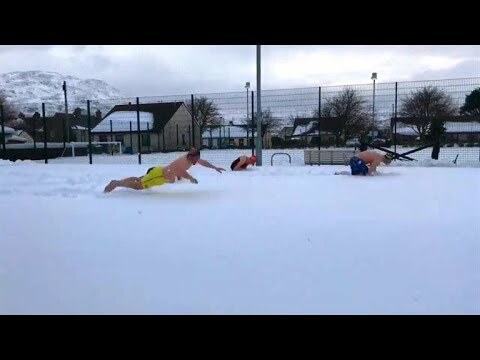 Some friends had a swim meet in the snow after a storm blanketed the area. They all dove head first into a swimming pool that was covered in snow. They say the breast stroke is the hardest of all, but add some snow and you’re talking about a freezing good time. We hope first prize came with a warm blanket and a roaring fire!